You can upgrade roads from one type to another and build over them -- it doesn't necessarily need to be an upgrade, either. So if you have a one way road, and then decide you want a two-way road, it's easy enough to make that change. It will automatically rezone residential, industrial, or commercial zones to fit the new road. The only difficulty is if you have a service that can't be removed (school, firehouse, etc. 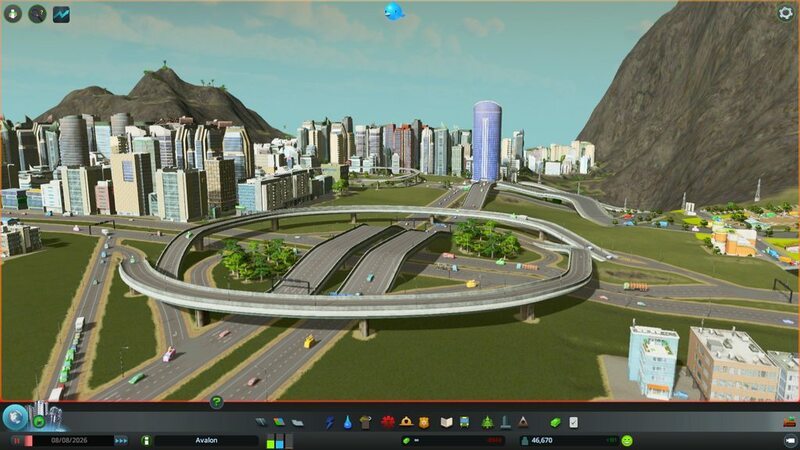 ), then you'll need to move it temporarily away and you can move it back after you upgrade the road. But yeah, basically, if you build an entire city section, and discover you've built it wrong, you might have a slightly difficult time -- but that's what save is for! Is there a lose condition? Like, can you screw up so bad that the citizens all riot? I'm very impressed with the patches the devs have released so far. Too often, I feel like game designers rely on the ingenuity of the community to fix problems. The first patch made the majority of the mods I had installed obsolete. They fixed parks driving commerical demand down to nothing, and added the ability to upgrade one way roads to two way and vice-versa. @eHalcyon, as far as I can tell there is no official "game over" or whatever. I can see a scenario with negative cash and being maxed out on loans that would basically equal a position you couldn't recover from though. My first two cities, I overbuilt early on (not realizing power would transmit between buildings, I built a LOT of power lines) and had to immediately restart. You can screw up badly enough to make everyone leave, I'm sure, but it would be pretty hard (at least to the point where I'm at -- my first city is still only at ~20k). What's the largest city anyone here's gotten? I just got my first city to 80k, unlocking everything. 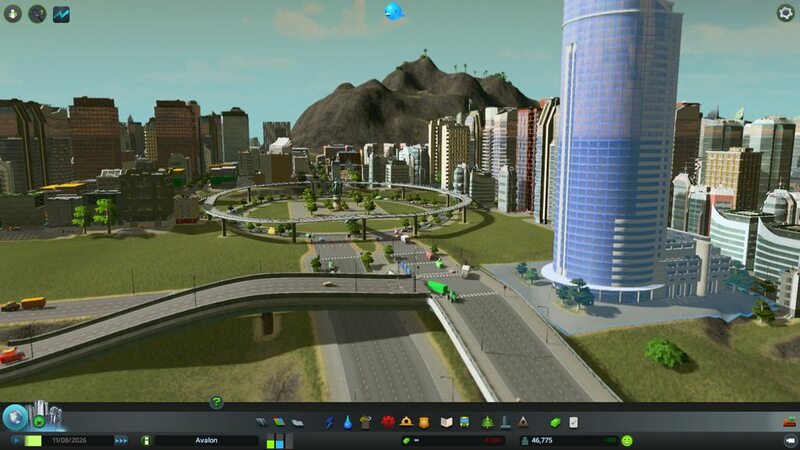 It took me about 30 hours, but I'm pretty obsessive about making sure traffic works well (no problems at all!) and I don't fast forward. How large have you all managed to make your cities? Just purchased. 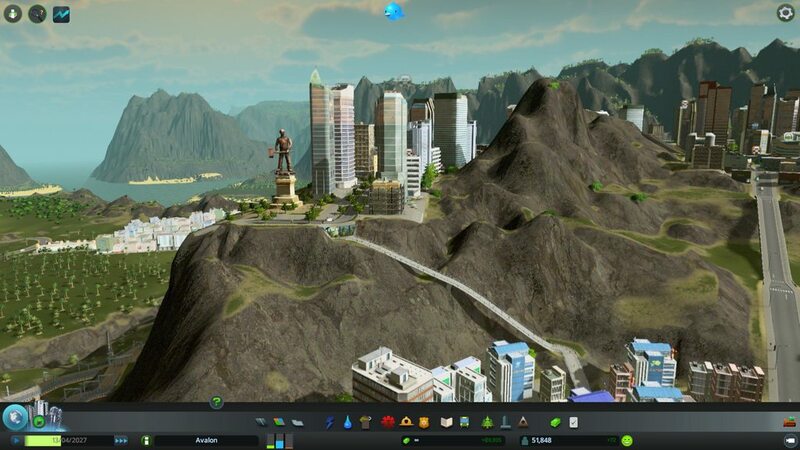 This looks like a great city sim. I look forward to blowing this weekend on it. Best comment on that: "The Dread Sigil Odegra in the language of the Black Priesthood of Ancient Mu!" Getting a new laptop soon. Looking forward to finally playing this game. It’s super dope, I’ve put in a few hundred hours this year. I love it. Cities Skylines is probably my favorite City sim I've played. Does anyone else use the free-build mode? I find that to be pretty nice. I don't like having to wait to unlock a bunch of extra stuff. I have been playing unlimited money (because it’s basically unlimited after the first bit any), and with the first couple of milestones unlocked so I have all the roads but still earning everything else. Will probably just do unlock all later on, but this helps me retain a sense of progression without repeating the dull part of the game and making advance road planning impossible.